Countdown to the STNYC 2019 Application Deadline on April 15th, 2019 - Apply now! 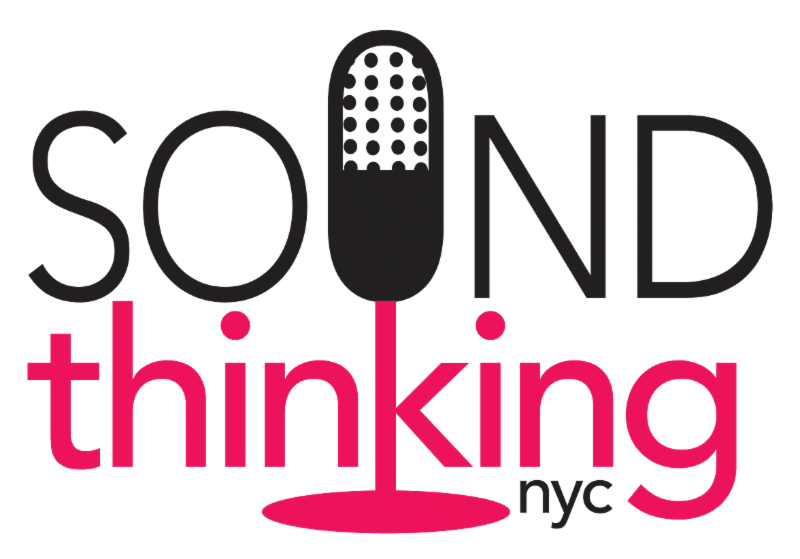 Sound Thinking NYC is a program of the CUNY Creative Arts Team and the NYC Mayor’s Office of Media & Entertainment (MOME) in partnership with NY is Music. STNYC is part of a series of MOME initiatives targeting the under-representation of women in entertainment. STNYC is a free program for high school students to build leadership skills, learn sound production and explore careers in the music industry. Countdown to the STNYC Three-Week Summer Intensive Application Deadline on Monday, April 15th, 2019! Don't miss out this summer on the opportunity to join our vibrant community of future music industry professionals! The Summer Intensive is for students who will be in 11th and 12th grade in fall 2019! 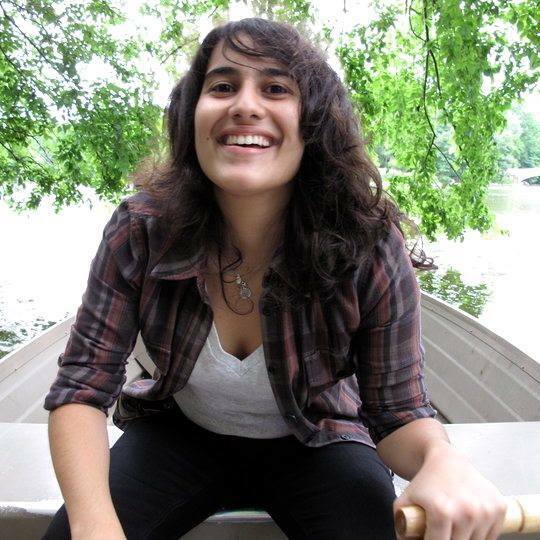 STNYC is a free program especially designed to open doors for young women to explore careers in the music industry. Access the online application ﻿and share our flyer with interested students. ﻿our website in printable form. Sound Thinkers Present at the University of Pennsylvania! 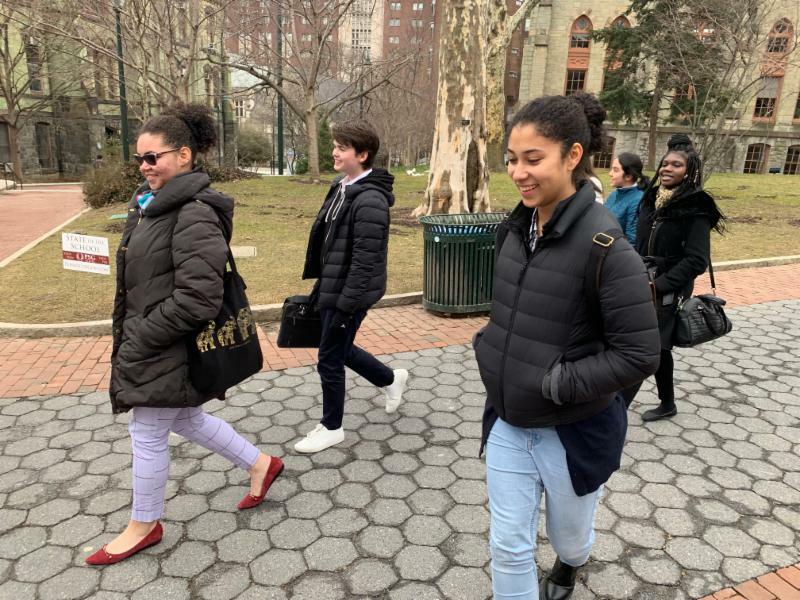 In February, six of our Sound Thinking NYC cohort-members co-presented with Ah-Keisha and Paola at the University of Pennsylvania's Ethnography in Education Research Forum on Saturday, February 23rd. The students talked about the U Penn experience, including what it felt like to go from participants to co-facilitators. Check out their post-presentation interview! 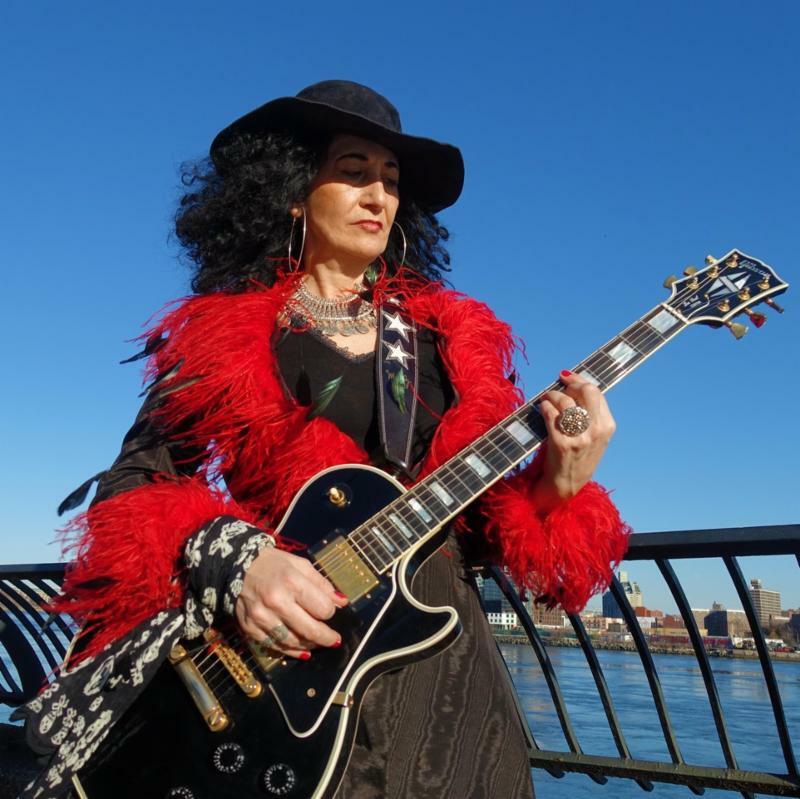 Sound Thinking NYC hosts a Guitar Master class with Eljuri! We are excited to share our newest public event, open to all NYC high school students, Grades 9-12, on Saturday, April 20th. Find out more below! Learn more about the workshop and RSVP here! 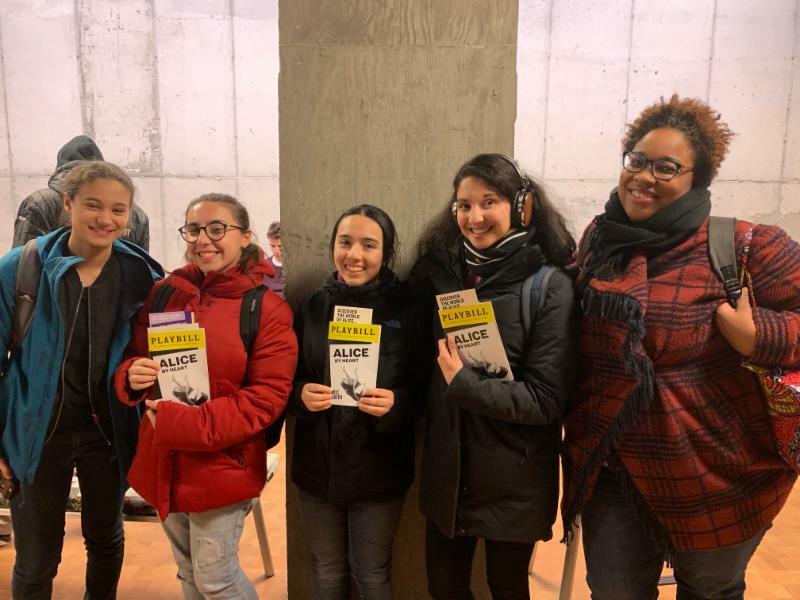 Sound Thinkers were invited to attend a performance of the new musical Alice By Heart , by the award-winning creators of Spring Awakening, Steven Sater and Duncan Sheik. The performance was held at the MCC Theatre in Hell's Kitchen. Read more about the experience here! STNYC visits BELA in Bedford-Stuyvesant! 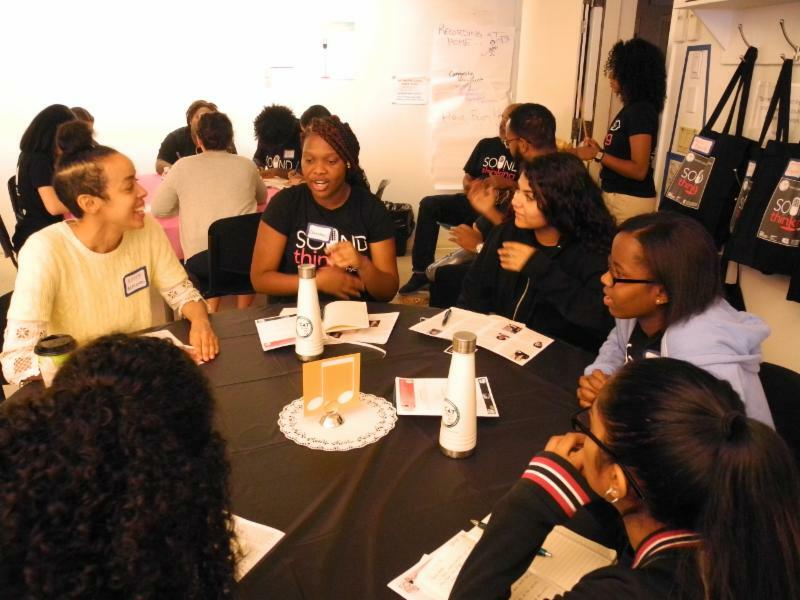 Sound Thinking NYC participated in the Brooklyn Emerging Leaders' Academy (BELA) Charter School's opportunity fair and met with many students that were interested in attending the 2019 Summer Intensive! 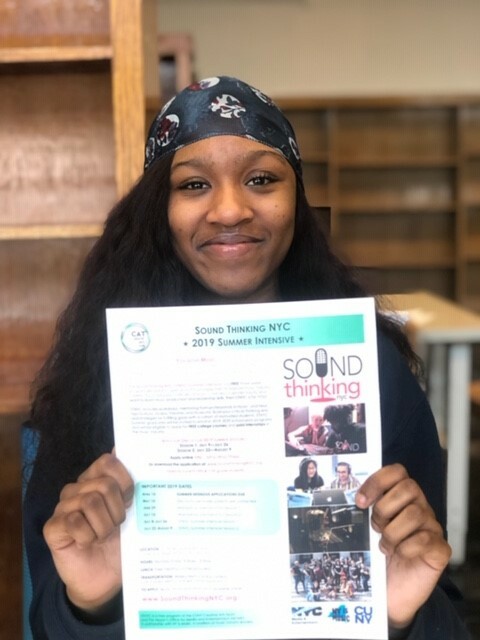 If you work or attend a school that may be interested in finding out more about Sound Thinking NYC or would like to invite us to an opportunity fair, please reach out to us by e-mail. Wearing ear plugs can help prevent hearing loss and make a loud concert a more enjoyable listening experience! Michelle writes about 'living intentionally' and in the present and why doing so may help reduce stress. 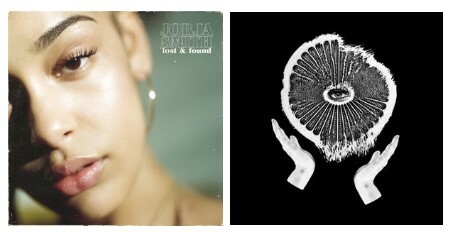 Two debut albums are reviewed this month - Jasmin Bota (STNYC '18) shares her thoughts on singer-songwriter Jorja Smith's album and Clara O'Connell (STNYC '18) sees an "indie pop masterpiece" in the debut of L.A. band machinehearts. *Below are college and music scholarship opportunities for which you can apply! 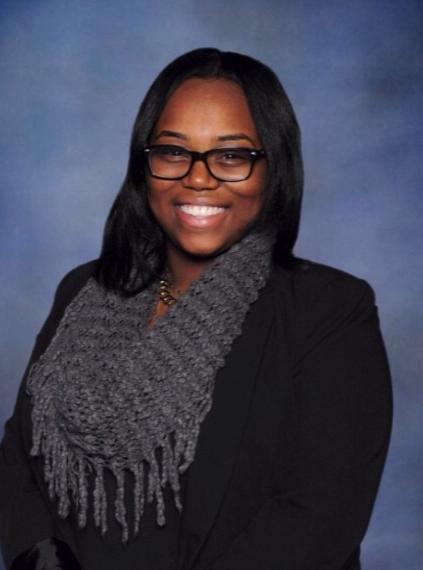 Distinguished Young Women of New York City is part of a national program that promotes and rewards leadership and talent in young women. Participation is free and tuition scholarships are awarded. For more information, click here . Do you love music and care about gender equity? Join us in an open dialogue around GENDER, EQUITY & the MUSIC industry! Share your thoughts at this interactive workshop. RSVP here! 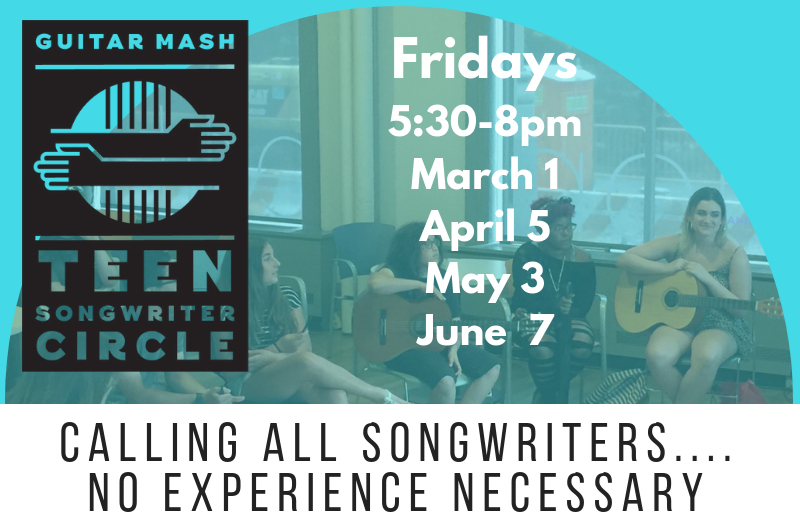 Mark your calendars for these free monthly songwriting workshops with Guitar Mash ! No experience necessary. Guitar optional. To sign up for the session on April 5, fill out this form ! For more information on how your organization can partner with us, email us ! Sound Thinking NYC is in search of music-industry related sites to partner with as we launch our internship program. If you're interested in finding out how you can support the next generation of eager music industry professionals in gaining hands-on experience and opportunities for mentorship, let's talk! We are seeking 80-hour placement sites for this summer, between July and August 2019! Cohort-members are responsible, high performing students who have completed workshops in ProTools and other music-related topics. 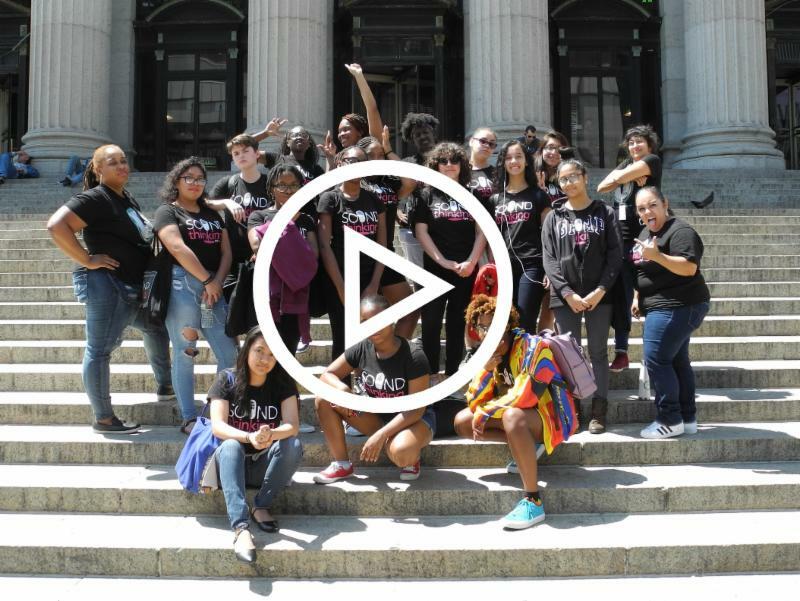 At no cost to internship sites, and in an effort to promote equity and accessibility to internships to NYC high school students, all interns will receive a stipend provided by Sound Thinking NYC. We're always hoping to expand our network. If you'd like to join us in our mission to promote gender equity in the music industry or would like to participate in our events and workshops, e-mail us.